3 golden flying dolphins gracefully display your Pysanky Easter egg. 1-7/8 inch width x 5/8 inch tall with 1 inch diameter ring. Gold Tone Metal stand for Chicken or Duck eggs Made in China. 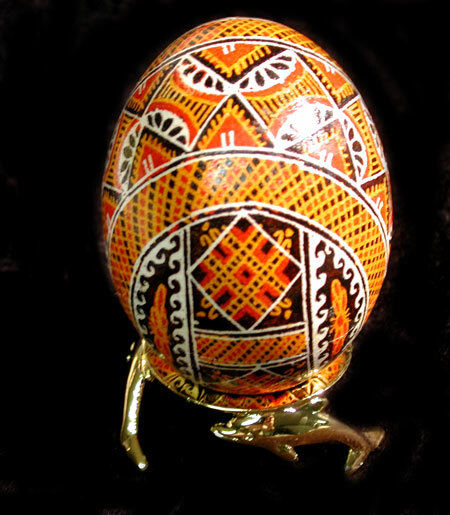 Pysanka not included. Questions about making a purchase? Order information.